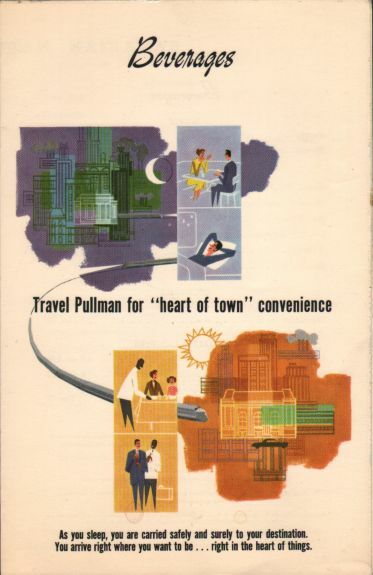 Description An early example of Pullman's "Travel Pullman for heart of town convenience" stock cover from 1960. 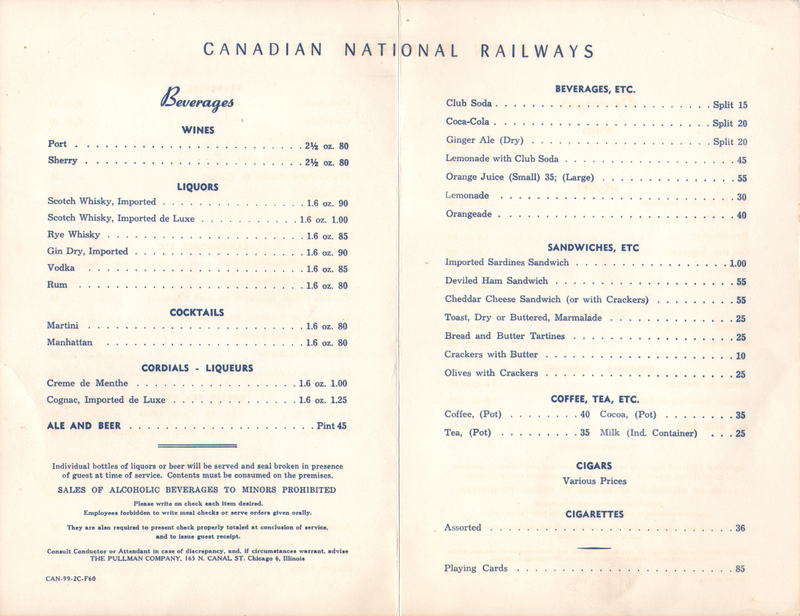 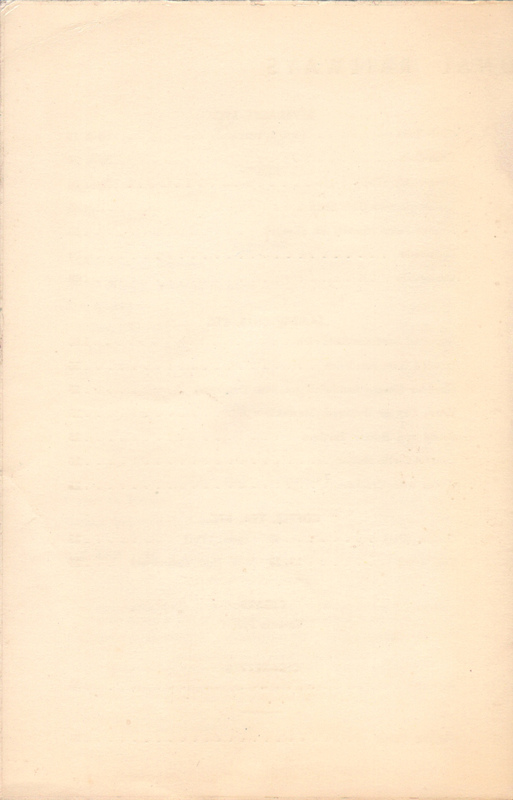 This menu is also rare since it was used in Canada in service on the Canadian National (CN) Railways (Railroad). 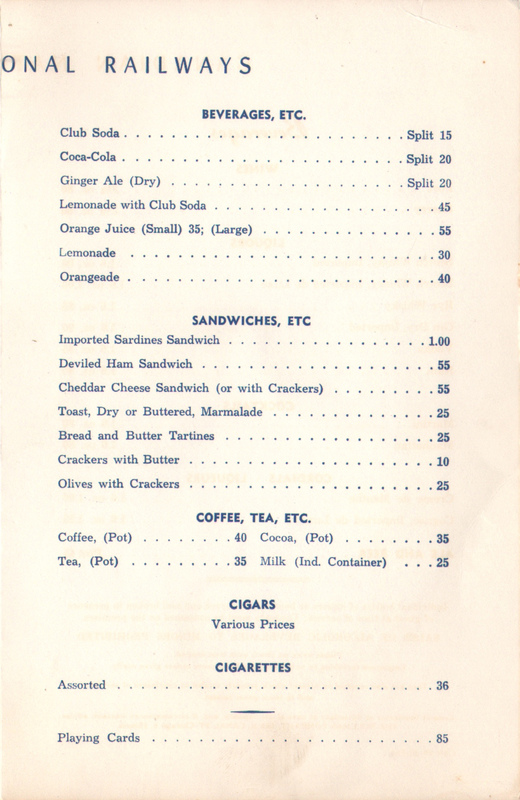 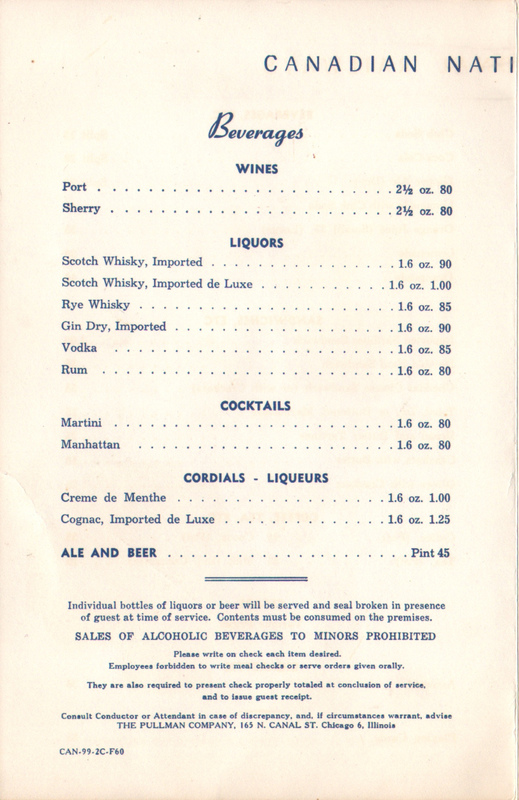 The person selling this fine menu added the following interesting information "This covered the service of items that Pullman had to obtain in Canada because of the liquor laws and the liquor had to be kept in its own locker and sealed by customs before the car could enter the US just as the US liquor locker was sealed onentry into Canada."